A referendum in Switzerland, initiated by the racist populist Swiss People’s Party, narrowly voted for a quota on immigrants. Check this site for a picture of how the national football team would look without immigration. Around 700 antifascists marched on a meeting of the fascist Front National in Rennes, north west France on 8 February. Their actions hit home: the next day, FN leader Marine Le Pen issued pleas for interior minister Manuel Valls to “dissolve” the antifascist groups. 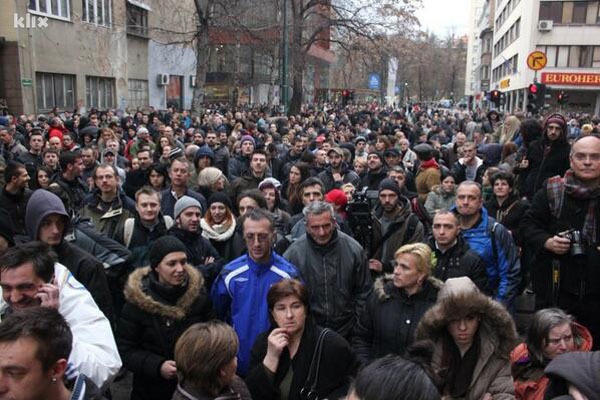 Angry protests have broken out in Bosnia over the past few days, with government buildings set on fire. The situation is developing rapidly, but here are some quick notes. The Great Sit-Down Strike of 1936-1937 saw US car and component workers take on the powerful multinational car giant, General Motors. On Sunday according to the police – 80,000 and the organisers – 500,000 took to the streets of Paris in support of the ‘traditional family’. These bigots were united in their opposition to gay marriage and adoption. Some are saying that this march is part of a wider development of a new right wing movement. 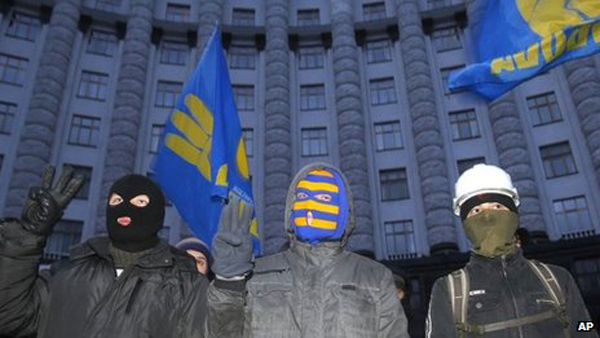 Huge protests have rocked Ukraine since November. Kiev’s main square has been occupied, there have been dramatic scenes of heavy fighting between militant protestors and police, and government buildings have been stormed and occupied too.